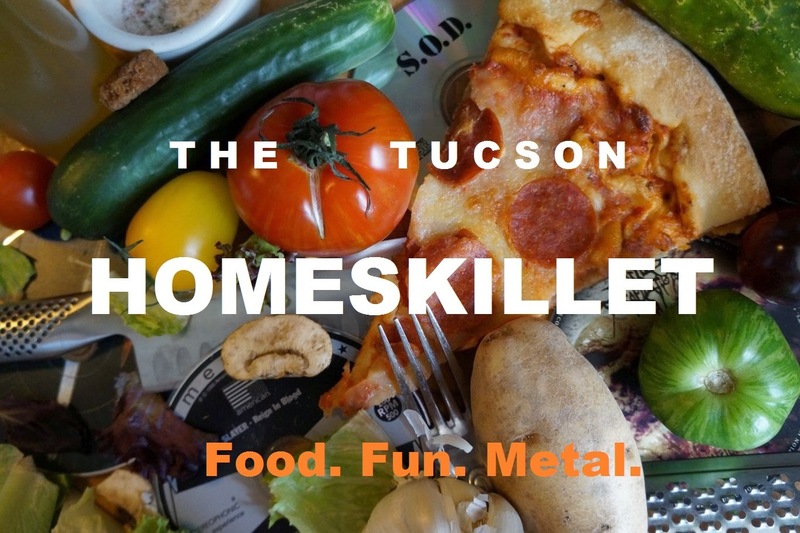 The Tucson Homeskillet: "Hey, Tucson Homeskillet, All Of The Food Action Is Downtown...How Come You Don't Write About It?" 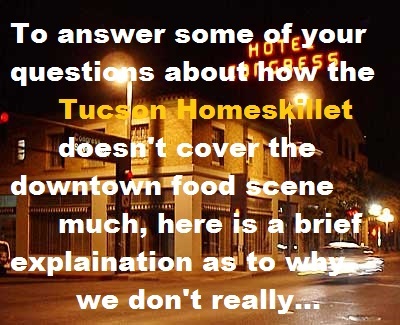 "Hey, Tucson Homeskillet, All Of The Food Action Is Downtown...How Come You Don't Write About It?" When I moved to Tucson in early 2006 from San Francisco, downtown wasn't much of anything really. 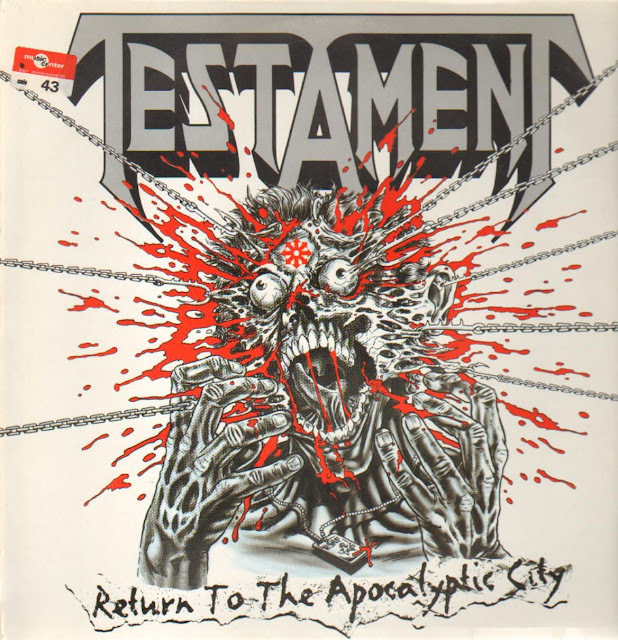 I mean, it had a few cool bars, a decent pizza place, The Grill which sold tater-tots and a venue where I spun Hard Rock and Heavy Metal tunes to a captive audience of no one. Honestly, downtown Tucson didn't do much for me and I rarely took the leap of cruising on over there, mainly because the parking sucked. Other than meeting the occasional pal for drinks or playing old Slayer and Motley Crue songs to an empty space, what's the point? But then, in just the last few short years, something happened. An explosion it seemed, kind of out of nowhere, started slowly erupting downtown. Suddenly upscale bars, restaurants and brewpubs began spouting up everywhere and as a food guy, this made me pretty excited. That is...until the Tucson Homeskillet made the way down there. Don't get us wrong, we do love some fancy food now and then among chef driven eateries. The mastery of flavors and courses has always been a decadent delight. Heck, our Twitter feed and Instagram is basically just food from the delicate care yet well worn hands of chefs from all over the world. Do you not think we want to see and taste what Rene Redzepi is doing to inky cap mushrooms for his renown restaurant Noma? Or watch Magnus Nilsson perfectly cook huge sea scallops over burning juniper branches in the kitchen at his place, Faviken, in some remote outpost in Sweden? Or dream about the sausages April Bloomfield creates for her various eateries and then go hang out with her drinking a cold beer and talking about what cheese goes best with roasted beets? But, for whatever reason it may be, so far...the downtown food scene just isn't doing it for us right now. Look, when the Tucson Homeskillet got revamped almost two years ago, after briefly contributing on another local food website, our goal was to focus on the hidden gems, the lil' out of the way places, the possibly questionable food trucks and dive bars with kitchens and overall funky mom and pops that dot this wide, dusty and chock full of possibilities desert city of ours. That's the food we like and that's the style we feel comfortable in. 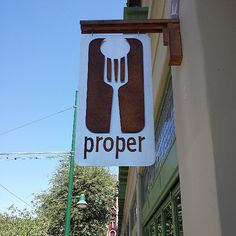 You've got so many other options, websites and publications as a go-to for what's the next big thing in upscale Tucson dining, why should our humble eat and drink blog try to muscle in on the big boys already established food writing territory? Huh, when you put it that way, maybe we should. 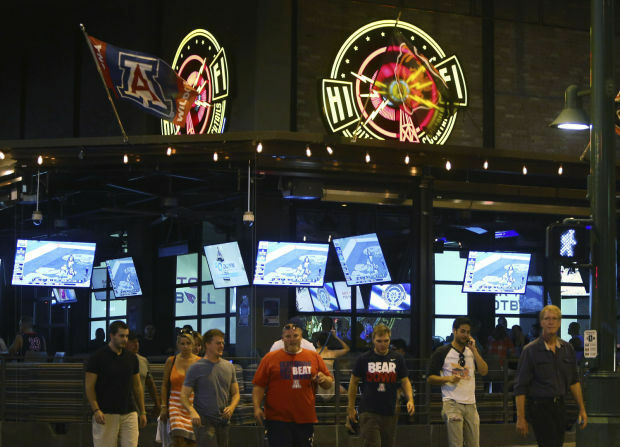 Thing is, at this point, the Tucson Homeskillet is just hitting its stride and it's going to take awhile for us to catch up to trusted and well rooted publications and websites. We don't get invited to soft openings to new eateries....yet. 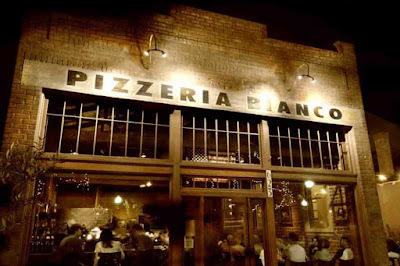 The email isn't blowed up with early notifications on what is being planned for that empty space that used to be a speakeasy now that some bigwig restauranteur from LA bought the place and is considering an artichoke and rum ripple concept. Or even getting press passes to food and booze events. We're just too DIY and small (yet well cooked) potatoes right now. But hopefully that'll change soon and the Homeskillet can hang out with the cool kids. For now, though...we'll stick with the weirdos at table nine. It's not like we haven't tried to get into the downtown food action. 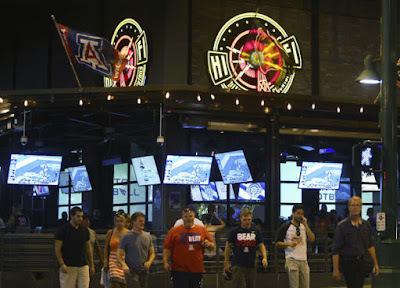 In fact, just recently, we have taken tours of downtown in hopes that a restaurant or gastropub peaks our interest and we crack out of our rather un-hip shell. All of the menus looked...fine...but just not enough for us to break the bank and risk getting not great service (which we have heard about way too many times and that would bug the crap out of us). The over saturation of Tucson culinary chic in a fairly tight area, along with the parking situation, for the most part just keeps us on the lookout for a food cart with amazing fry bread tacos that no one has heard about or how delicious the Friday fish fry is at that bar that looks like should be condemned or even some crud hut that sells beads and dreamcatchers but also serves up some of the best pozole in town. We even have friends that own places on Congress and more that even work in that area, so let this blurb here set as an apology for not hanging out as much as we'd like. We'll get down there again...someday. We promise. Now, if we did get the invites and "comped" course meals, you better believe we will be there! Who wouldn't? When those opportunities arrive we will grab them by the apron and face dive into the food and let you know what we thought and how the event transpired. Even if we don't dress or look the part. 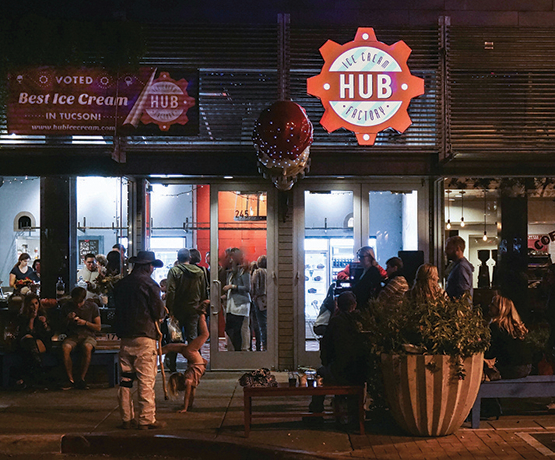 Tucson is so rich with an amazing food culture which continues to grow and expand right before our eyes and tastebuds with uncharted culinary terrain yet to be discovered. For that reason alone, being a food blog and big eaters makes us chomp at the yummy bit as to what more is out there and what is in the works for the near and distant future. Downtown Tucson is fine for most but for the time being we will leave the food coverage there for the kids with the money and contacts. We really don't have the money right now. And our one contact can get us a free taco now and then. Not enough to be considered "big competition" at present. Is it? It's a pretty good taco. But we can write good though...right? Us write good! Yay! Thanks for reading. That's all. And we find the Hi-Fi Lounge rather terrifying. So many TVs. So....many...douchenozzles. Sorry. But that's our story and we're sticking to it. We flew home to book this venue in June last year. Absolutely loved it here and I'll be certainly waiting to go back there for more events. Regardless of the time of your event, you always get the same thing at the LA venue: reasonable drink prices, great decoration, & friendly staff.